20 Top Electronic Pets Kids are Begging to Bring Home in 2019! Electronic pets for kids are always among the most wanted kids toys. 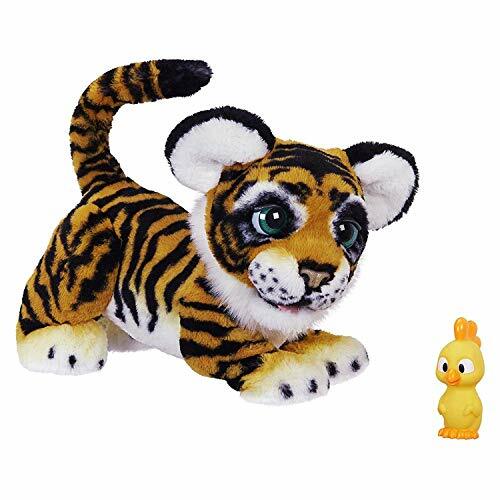 Kids love them because they’re adorable, cuddly, and interactive. Parents love them because they are household additions that don’t eat, poop, or make messes. So win, win. Electronic pets for kids are not only fun, but they can be a learning experience too. Since their responses are so life-like, parents use them to teach their child how to take care of a living pet. 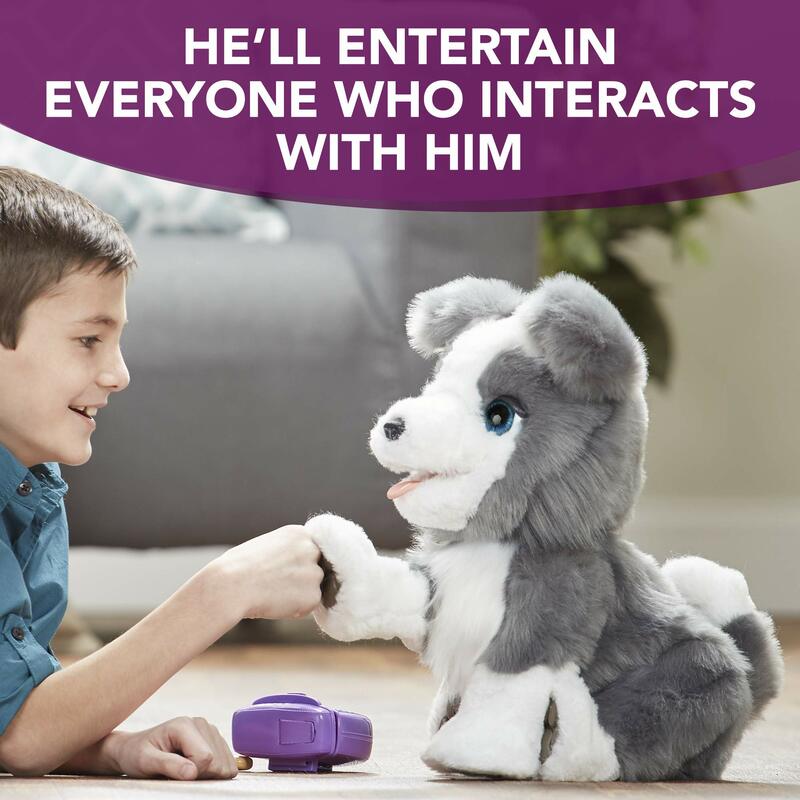 For these reasons, electronic pets for kids are among the 2018 hottest kids toys for Christmas or birthday presents and each year a whole new litter of automated bundles of cuteness are released. To help you find the right toy electronic pets for the kids in your life, we’ve gathered the best of the new deliveries, plus some popular old favorites. ✳️ In a hurry? ==> Go straight to the best sellers in electronic pets HERE! Which of the Electronic Pets Should You Buy? 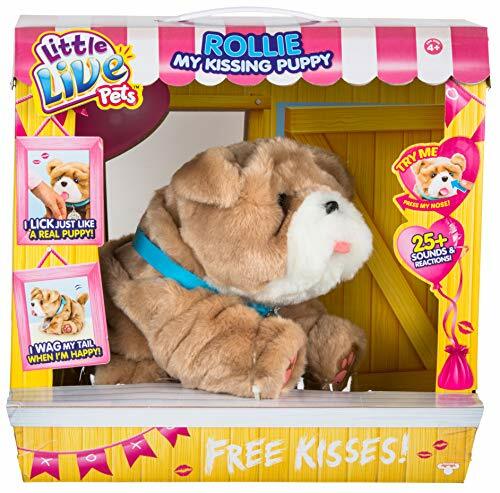 One of Hasbro’s hottest new releases this year is the adorable Ricky, the Trick-Lovin’ Pup. Ricky is so playful and lifelike (right down to the pretend poops!) that he will delight the child on your gift list. Here’s some features of little Ricky. Ricky is on all the top retailer’s recommended Christmas toys for kids. They are going to love him! 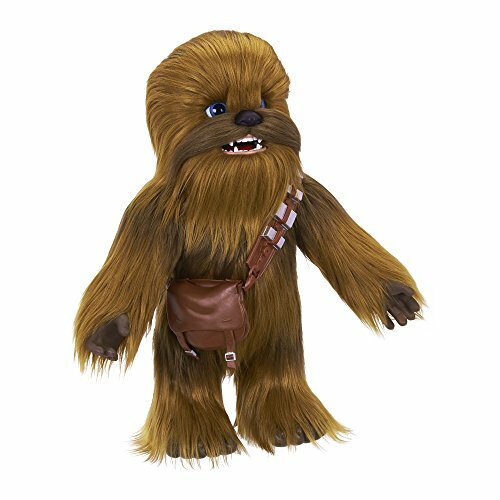 Star Wars and Hasbro’s furReal line teamed up to create the Ultimate Co-Pilot Chewie interactive toy. Chewie makes all the Wookie noises we’ve come to know and love and belts them out when he’s stroked, pressed, or flown through the air. One thing to note is that Chewie’s fur isn’t soft at first, because there is gel in it so it’s more…Wookie-like. But it can be brushed out if kids prefer it. Check out the pop-up video below to see Chewie in action. Young Star Wars fans will love embarking on galactic adventures with this new electronic pet by their side! 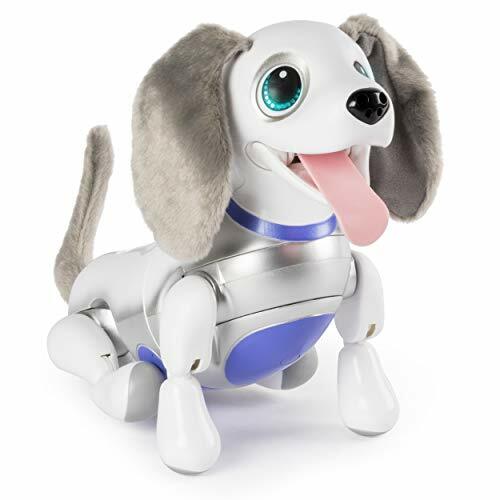 Zoomer Playful Pup is one of Spinmaster’s new electronic pet releases. 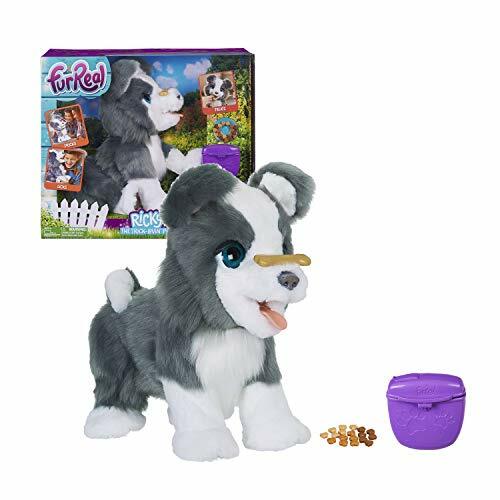 This cute little interactive puppy is full of all the usual interactive pet tricks, like barking, cuddling and responding to touch. The cool thing about Zoomer is that he can be taught over 25 tricks, like begging, rolling over, playing dead and several others. 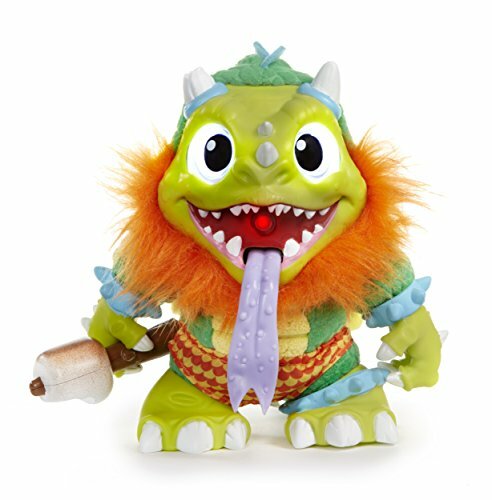 Kids can even name Zoomer and teach him to respond to his unique name to unlock even more responses! Zoomer doesn’t take batteries either – he charges up with a USB cable. Check out the video in the Amazon description to see him in action. ✳️ UPDATE ==> The full list of all the hottest toys for Christmas is here! Pomsies just came out earlier this year and they are very popular with our readers. These cute balls of fluff wrap around wrists, ankles, backpacks and more and let their owners know when they’re tired, cold or hungry. Pomsies are interactive and respond to touch with over 50 different sounds. 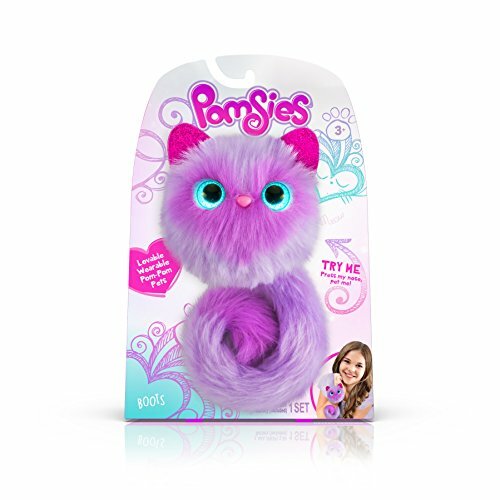 Kids never have to guess what their Pomsie wants because their eyes light up to indicate what they need. These aren’t lifelike of course (because what even are they? ), but for the price they’re adorable, entertaining creatures that kids can take with them everywhere they go. Speaking of price…they retail most places for just under $15, so don’t pay more than that for them. 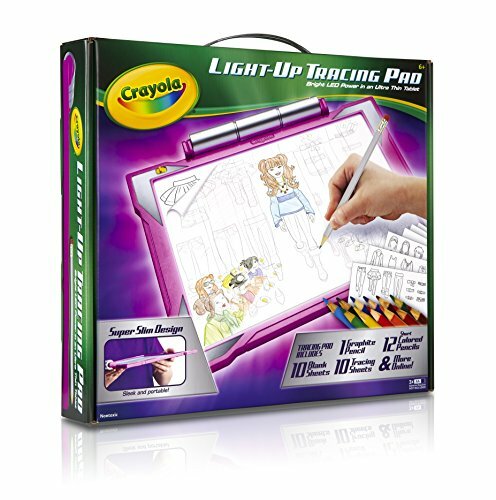 They go in and out of stock on Amazon pretty frequently now, and will continue to do so as we get closer to Christmas. So if you want one and you see it for less than $15 – order it! These come in several colors – you can see all the Pomsies here. Crate Creatures aren’t brand new to the world of electronic pets for kids (they came out late last year) but they are new enough to include on our list. Plus, they’re pretty popular! These so-ugly-they’re-cute creatures make over 45 different sounds and will even record and play back a short message. Kids activate the creature by pulling it’s tongue, then they get to break him (or her?) out of his crate with the included crowbar. They make all the usual noises that kids love, including of course, farting. The packaging is nice because kids can reuse it to house their little wildling and break him out again and again, which adds to the play value. There are several different Crate Creatures to choose from. Snort Hog and Pudge are the newest ones, released just this year. Rollie doesn’t walk, but he’s a great little guy for kids who want something to cuddle and well…he’s just too darn CUTE! 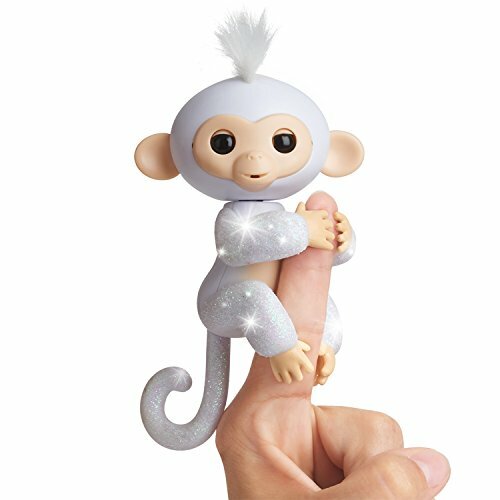 Fingerlings were one of the hottest electronic pets for kids last year and became really hard to find at a decent price the closer it got to Christmas. 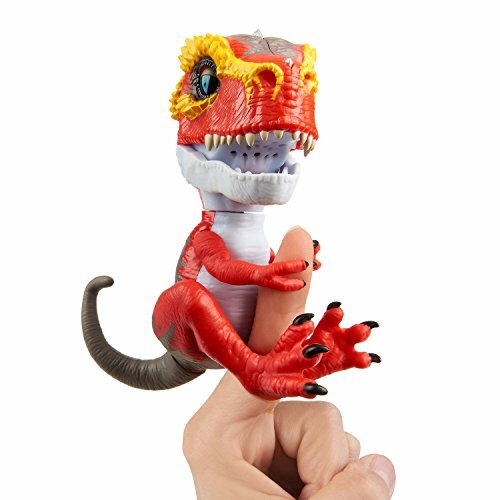 This year, WowWee’s newest addition to the Fingerling family is the Untamed T-Rex. He’s cute in his own, ferocious way and has a few more surprise reactions than his monkey cousins had. Over the past year, several different variations of Fingerlings have been released, each one cuter than the next! You can check out all the Fingerlings here. 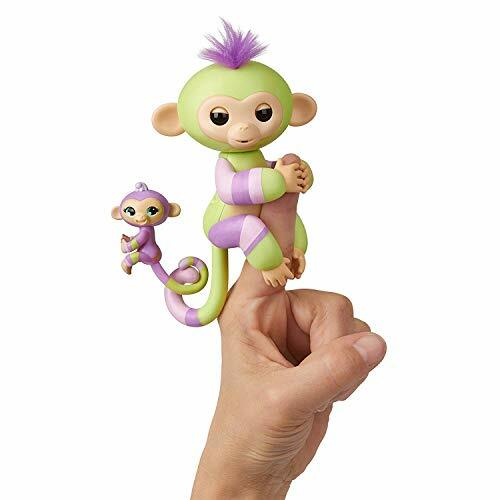 Just make sure you are buying the Original WowWee brand Fingerlings because there are some knock-offs out there. Munchin’ Rex is the cutest little dinosaur pet ever! re’s some fun features of this new electronic pet for kids. Kids activate Rex by placing one of his treats on his tongue. This wakes him up so that he can begin interacting with them. Since this is a new toy, there aren’t very many reviews, but some had some issues with Rex not reacting. Read this review of Rex to clarify how to properly use Rex when you first buy him. 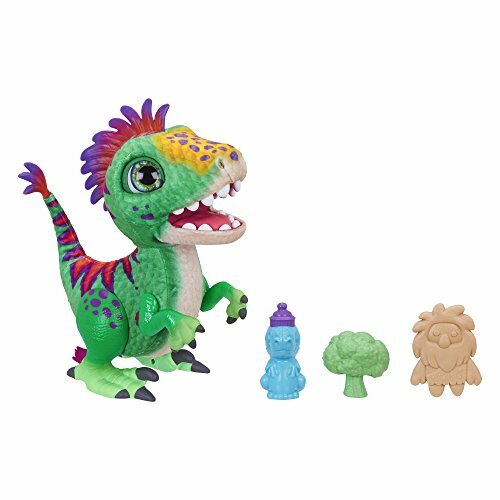 From his colorful mohawk to those expressive eyes, Rex will delight the young dinosaur fans on your gift list. Rex is on several 2018 top Christmas toys for kids lists! 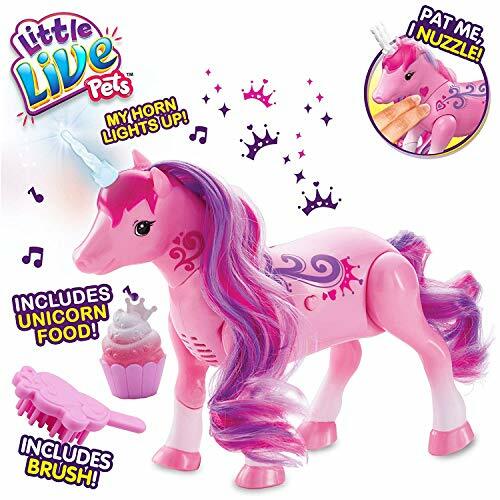 Sparkles, My Dancing Unicorn is one of the new releases from Little Live Pets. She nuzzles, dances, makes unicorn sounds (I have no idea) and eats her tiny cupcake. Sparkle’s horn lights up to indicate whether she wants to eat or nuzzle. 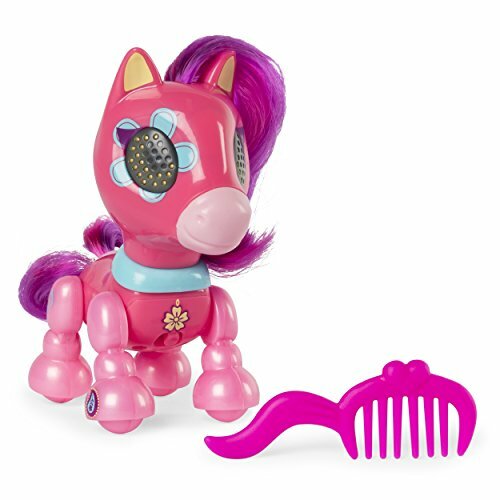 She comes with a brush to take care of her colorful mane and tail. She does need 2 AAA batteries, which aren’t included. 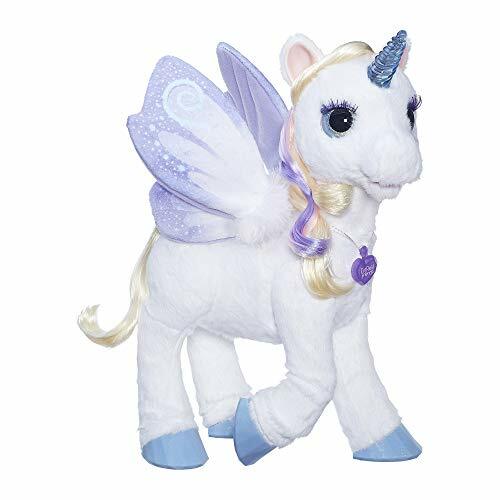 Little unicorn lovers will adore this magical electronic pet for kids! The Hatchimal craze is still in full swing. Availability in recent years is better than the first year they came out when they sold out everywhere and then prices went up faster than you can say “chicken poop”. If you’ve been living in an egg and don’t know what a Hatchimal is, here’s the scoop. They are basically a combination of Tamagotchi virtual pets and Furbies. When you buy a Hatchimal, what you get is a big, speckled egg…at first. But when your child begins to play with the egg – by rubbing it and holding it – the creature inside hatches. After hatching, there are all sorts of interactions kids can do as the furbaby grows, including games they can play with it. The cutest thing is that as the baby grows through each stage, he’ll warble a Happy Birthday song, and the baby rendition is the most adorable sound you’ll ever hear! 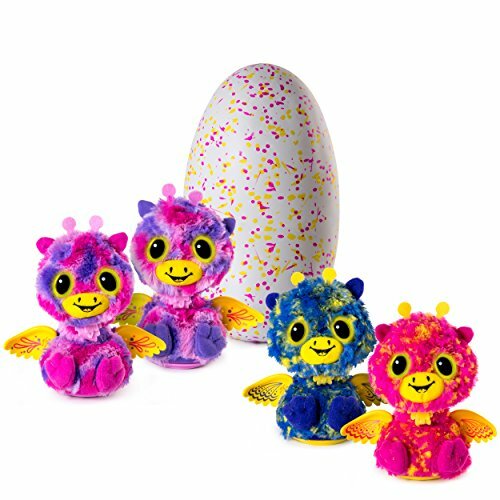 The latest releases are Hatchimals Mystery, which have more interactions than past versions, plus cute little wings that flutter. 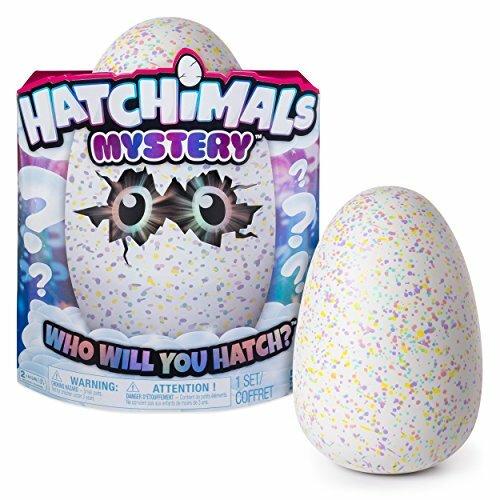 In keeping with the latest “surprise” trend in toys, kids don’t know which creature they will hatch – hence the mystery. Then there are the Hatchibabies, where you don’t know if you’ll hatch a boy or girl. It’s like a gender reveal! These just released on October 5th of this year, so if the child on your Christmas list wants one, order early! You can choose from Ponette, Cheetree, or Chipadee. 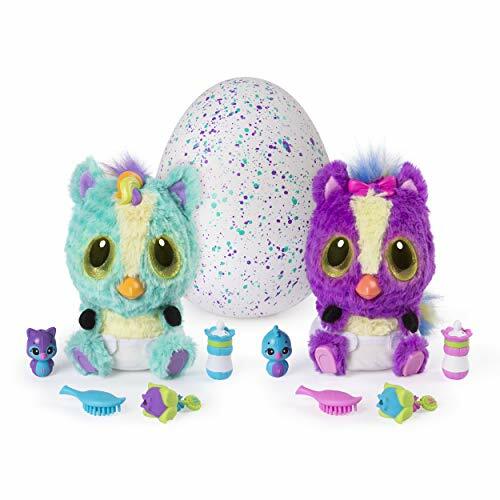 And last year’s Hatchimals Surprise are still popular, because kids get TWO babies in one! 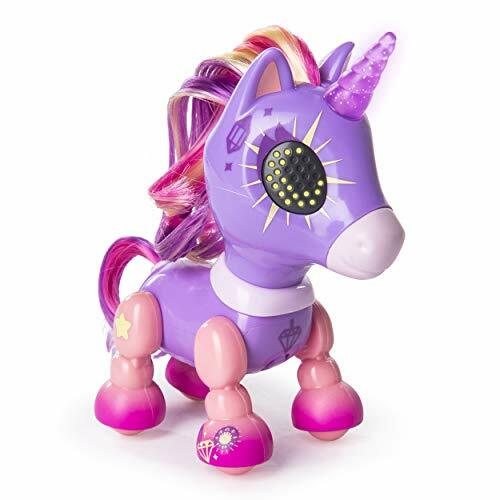 This next group of electronic pets for kids were among the hottest kids toys for Christmas last year and prior years. 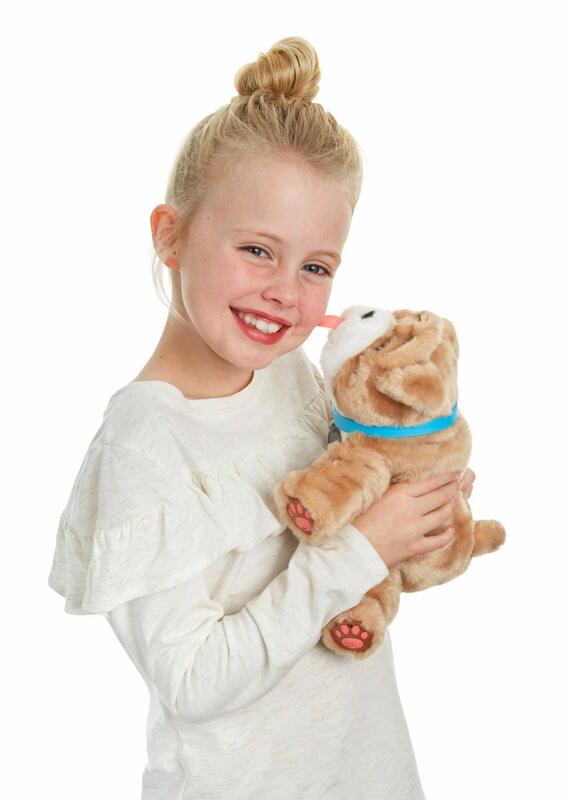 They are still hot sellers and continue to make kids happy electronic pet owners. 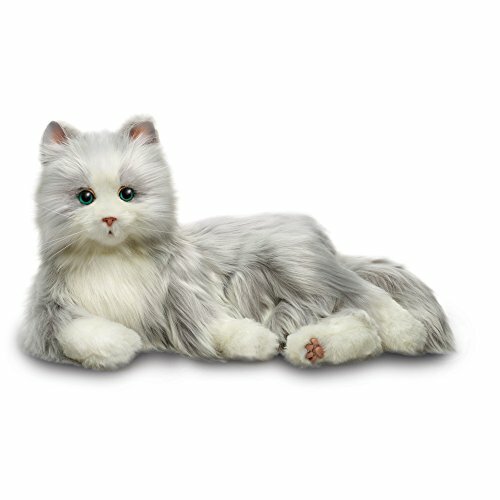 The Hasbro FurReal Friends electronic pets for kids have taken the toy industry by storm ever since they came out in 2002. 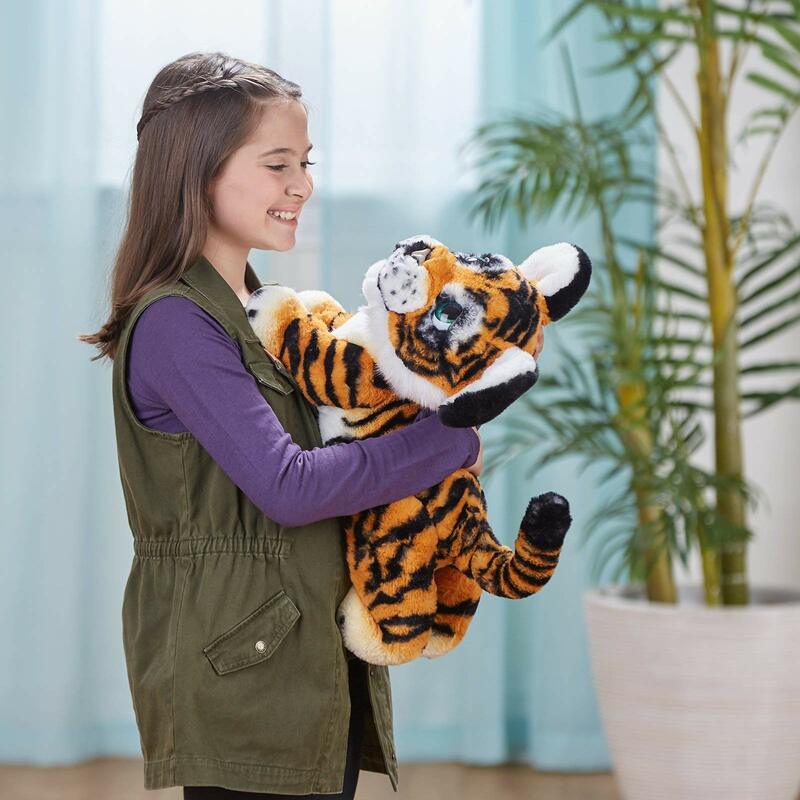 Their Roarin’ Tyler the Playful Tiger has gotten rave reviews since its release last year and kids still love him! Roarin’ Tyler is the largest of their pets that I’ve seen. At 20 inches long and over 17 inches high, he will fill the little arms and heart of the child on your gift list. Move over all you electronic dogs, cause Cuddles the Dream Kitten is in the house! 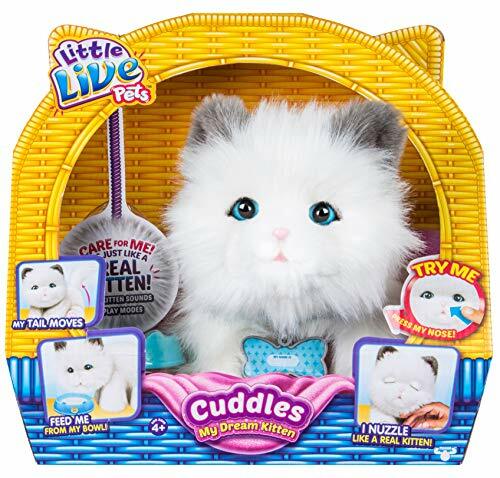 Cuddles was added to the Little Live Pets line last year and is still a top seller. This cute little ball of fur nuzzles your hand when you pet her, just like a real kitty. She also swishes her tail, makes realistic mewing and purring sounds and comes with her own little cat kibble bowl. Her fur is silky soft and those eyes will melt your heart. And the best part is – no litter box to scoop! ✳️ DEAL ALERT ==> Check out all the toys on sale today! 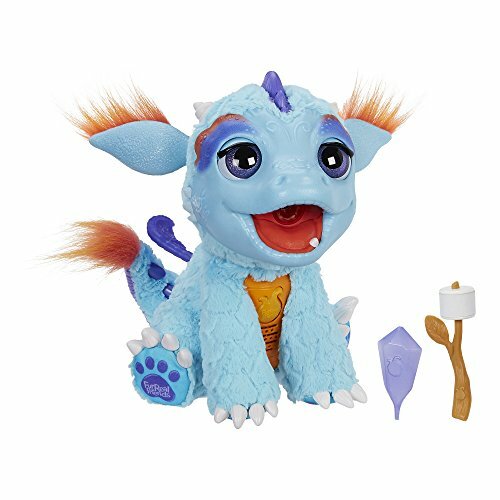 furReal Friends Torch was one of the most wanted kids toys for Christmas when he first came out a couple years ago and still has great reviews. The cuteness factor is off the charts with this one and he will absolutely charm a young child (and most adults)! 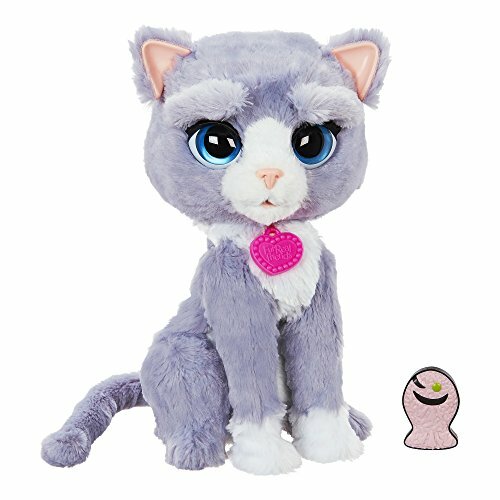 Meowzies Lucky is an interactive kitty that gets happier the more she’s played with. She makes noises, plays games, purrs, sings and responds to petting and touch. 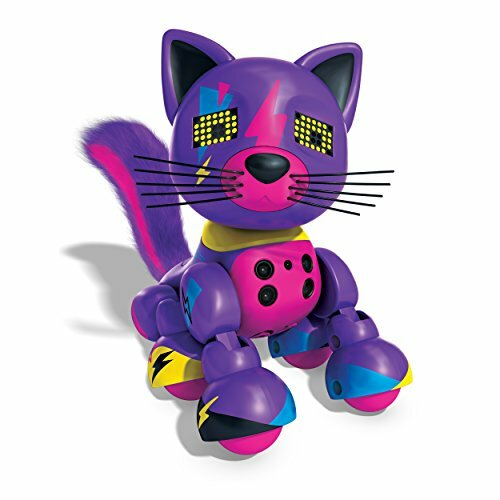 Although Meowzies have been on the market a couple years now, they are still popular electronic toys for kids. Bootsie is another electronic cat full of personality and attitude. Just like a real cat, you never know quite how she’ll respond, but at least she doesn’t have claws! Bootsie hisses and meows, depending on her mood, but she usually enjoys being petted and loved. Her expressive eyebrows give away her current temperament and add to her lovable little character. Bootsie was one of the most wanted kids toys for Christmas a couple years ago and is still one of the popular furReal Friends electronic pets for kids and cat-loving adults too. StarLily will absolutely delight young girls! No wonder she was one of the hottest kids toys in past Christmases and has kept her popularity. Zoomer Zupps are a little like Fingerlings in size and interactions. There are several litters (releases) of them, so there’s a huge variety of cuteness to choose from. If you’re buying for a child that collects them, the price is small enough that it won’t stretch the wallet to buy a few. 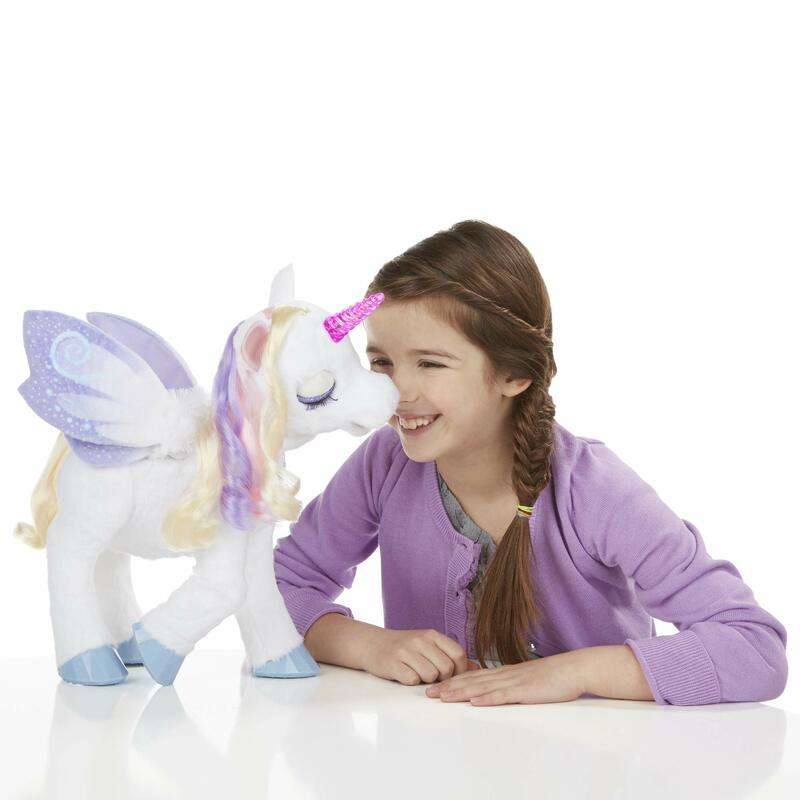 The latest Zupps release includes Pretty Ponies (this one is Dixie) and Tiny Unicorns (this is Stardust). There are several color choices of each to choose from. 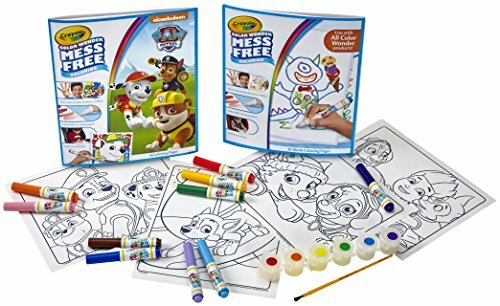 Zoomer Zupps are great for preschool aged and slightly older kids. 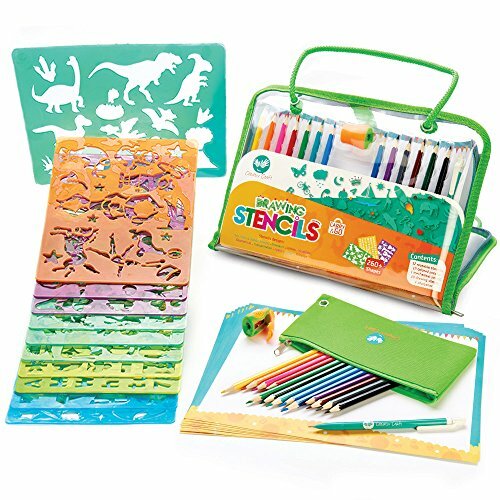 They are small enough to fit in a pocket or backpack and provide just enough interaction to keep young kids interested but not overwhelm them. 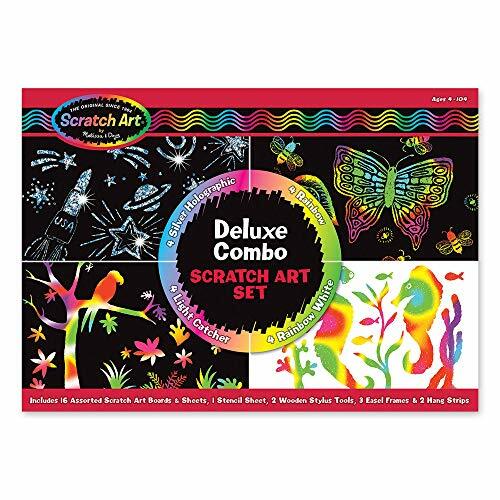 The cool thing about these is that each one has a secret trick and a child must interact with it frequently and in various ways to unlock the trick. 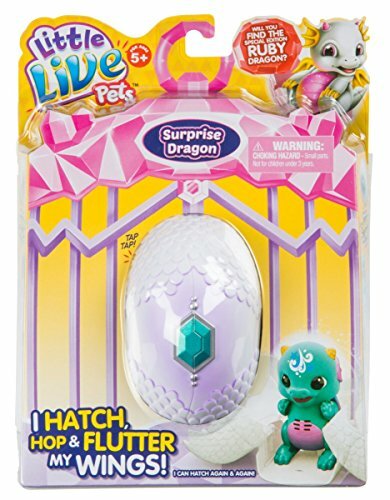 A new edition to the Little Live Pets family are the tiny hatching Surprise Dragons. These are small electronic pets for kids that aren’t really interactive, but great fun to watch as they crack and hop out of their shells! Kids don’t know which dragon will hatch from the shell – there’s 4 different ones – and they may even get the rare Ruby Dragon. Splash dragons seem to be blues and greens and Sparx are pinks and purples. What’s nice is they can go back into their shells and hatch again and again, so young kids don’t tire of them too easily. 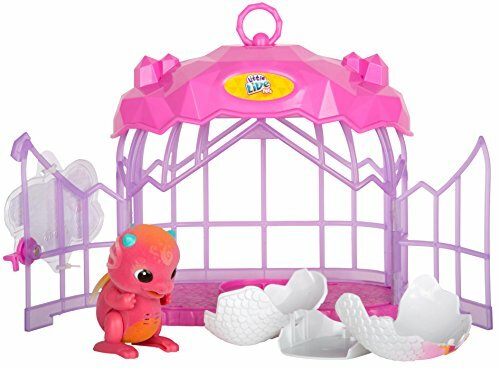 There’s also a set that comes with one dragon and a cute little cage so kids can give their hatchling his own little dragon house. Joy For All Companion Pets are robotic pets for adults. They are designed to be a comforting tool for the elderly and are a good substitute in situations where an older person just can’t have a live pet. 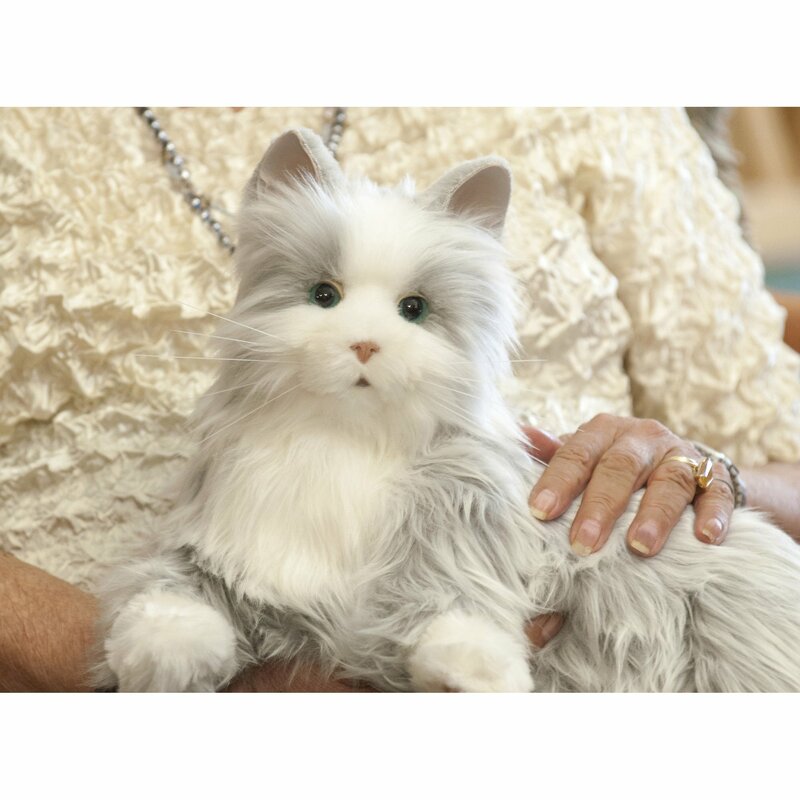 These robotic pets for adults are very lifelike in their reactions and feel. The cat movements, meows and purrs are so much like a real cat that even real cats do a double-take when they first see it (check out the videos on Amazon and you’ll see what I mean). 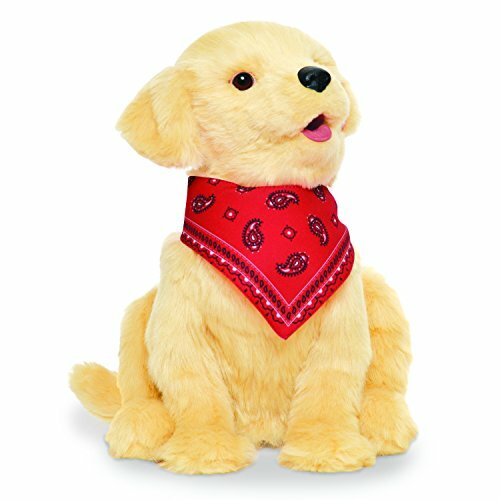 The Joy For All Golden Pet has lifelike fur and a heartbeat sound. He responds to touch and petting just like the cat. Electronic pets for adults don’t replace live interactions, but they can certainly provide some comfort to the elderly who can’t have real pets. Need help picking out a toy for a child on your gift list? Here’s the top 100 toys for 2018! There are so many adorable electronic pets for kids and adults on the market, it can be hard to decide which one to buy. If you’re trying to decide on one for a gift, think about the recipient’s age, patience level and the types of animals they like. Also think about whether the electronic pet will be more for cuddling or playing, since some are softer than others. We hope this article helps you to pick a toy that will put a smile on the face of that special child or adult on your gift list.